A SECURITY MAN who missed a break-in because he was looking at his mobile phone has now lost his job over his phone addiction. 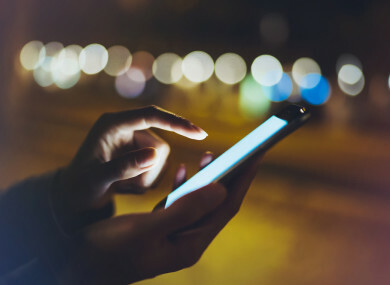 The man sued for unfair dismissal over his continued use of his phone, but the Workplace Relations Commission (WRC) deemed the dismissal fair and that substantial grounds existed for his dismissal. At the time of his dismissal, the man was on a written warning after missing a break-in on CCTV cameras in December 2015 as he was looking at his mobile phone at the time. The man’s employer, a property service support company, is family owned and was established in 1966. The man was stationed at a high-profile client of the firm in December 2015 along with 52 colleagues who were engaged in security or cleaning duties. The company said that there was a substantial breach of security in December 2015 where the security man failed to observe on CCTV and react because he was found to be on his phone at the time and not monitoring the security cameras. The firm claimed that the man was fully responsible for missing this break-in and he could have lost his job at that time. However, in an effort to try and help the man and give him a second chance it decided instead to issue a final written warning and told him of the possible future threat to his employment due to his mobile phone usage. The man had been employed as a security guard for nine years but six months after the December 2015 incident in June 2016, the site operations manager and a team leader came across the security man with his phone beside him and the phone was lit up as it just received a text message. The site operation manager asked if the man was using his phone and he confirmed that he had been. As a result, the firm involved disciplinary action and the man was sacked in August 2016. The firm stated that the man’s use of his phone was a constant and recurring issue. The firm stated that it had given the man countless chances in the past and he still did not change his behaviour. At the WRC hearing, the man said that he said like most young people, “his mobile phone was like an extension of his arm” and that over a period of time he became “addicted to using it, to play games, to text friends and for using social media sites”. He said that he had developed a serious habit using his phone but that he had worked hard in trying to stop using his phone while at work and he was doing well. However, when he was faced with the relationship break-up and the possible loss of access to his daughter he was left with no choice. The man claimed that he “now has his addiction with his mobile phone very much under control” and asked to be reinstated to his position of security guard with the firm. The man stated that the penalty of dismissal was totally disproportionate when all the circumstances of the case are taken into consideration and that an alternative sanction would have sufficed given the mitigating factors in his case. However, in his ruling, WRC Adjudication Officer, James Kelly stated that he was satisfied that the role of a security guard requires full and concentrated attention and this is of paramount importance in the industry within which the firm operates. He stated that he was also satisfied that the firm went to great lengths prior to the incident to give the security man an opportunity to change his behaviour. Kelly said that the security man was fully aware of the importance and significance in terms of compliance with these procedures and of the potential disciplinary sanctions, up to and including dismissal, for any breaches. He found that the security man’s actions clearly constituted a breach of the company s personal mobile phone policy and that this breach when taken into consideration with previous breaches amounted to gross misconduct. Email “Security man who missed a break-in because he was looking at his mobile phone loses job ”. Feedback on “Security man who missed a break-in because he was looking at his mobile phone loses job ”.